You may say the recycling bins or the county dump. But sometimes they make it to the book purgatory. Maybe they get resold online, or at library sales, where they might be carted away $2 a bag. Perhaps they were left out in front of a used bookstore in a cardboard box so that passersby could grab an unsightly but vaguely interesting tome to page through somewhere or another. On November 22, 1963, a handsome young man rode into the city of Dallas, Texas. By his side sat his beautiful wife, all dressed in pink. It was a hot, sunny day in Dallas. They rode in an open car. Their car moved slowly. They smiled and waved to the crowds along the streets. People cheered. They were glad these young people had come to their city. Suddenly the sound of three shots ripped the air. One shot hit the young man’s neck. Another hit his head. He fell sideways into his wife’s lap. Minutes later he was dead. 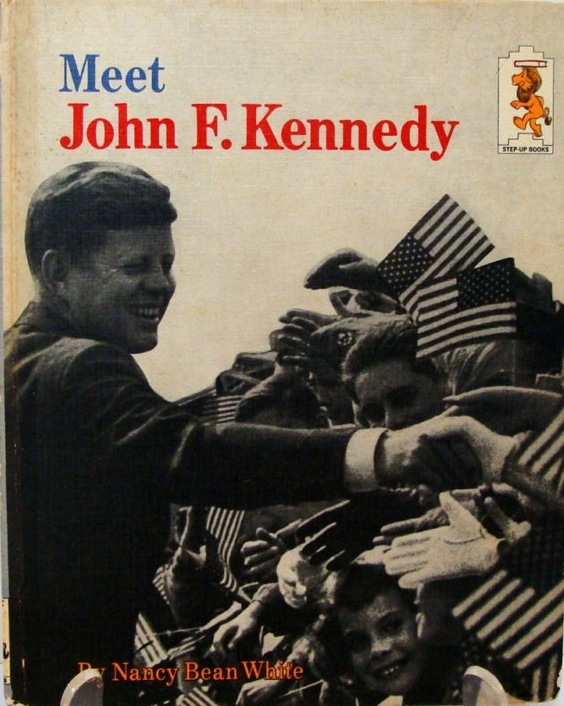 He was John Fitzgerald Kennedy, the 35th President of the United States. He had been shot and killed by an assassin. This book, published by Random House in 1965, introduced a whole generation to the Camelot-style myth surrounding the beauteous President and his wife, and even the myth of his killing by one lone assassin using three lone bullets, and he dies tragically but lovingly on his wife’s lap. The writer, one Nancy Bean White, didn’t want you to know that the President’s wife actually climbed out the back of the limousine with her husband’s brains as a skull shard dropped from her hands. Mrs. White also didn’t find it necessary to mention that the flood of the president’s blood also splattered the cops on motorcycles riding nearby, and that another bullet also struck the governor of Texas sitting in the same limousine. No. That couldn’t happen in a child-friendly Third Act, an antiseptic conclusion with all questions answered. In November 2013, the 50th Anniversary of the killing, it will be an important time for the establishment to further engrave this myth into everybody’s mind, to remove credibility from any countering view. People like Tom Hanks will produce films like Parkland, holding that the Warren Commission Report holds all answers, and people were just doing their jobs, even if they lied a bit, it was all well-meaning. The 50th Anniversary news programs will make it clear that if you question these views that you are crazy, and should be shunned. More than a decade ago, Feral House published a book called The Assassinations edited by Jim DiEugenio and Lisa Pease about new released material regarding the killings of JFK, RFK, MLK and Malcolm X. Feral House is coming out with another book this anniversary of JFK’s murder. 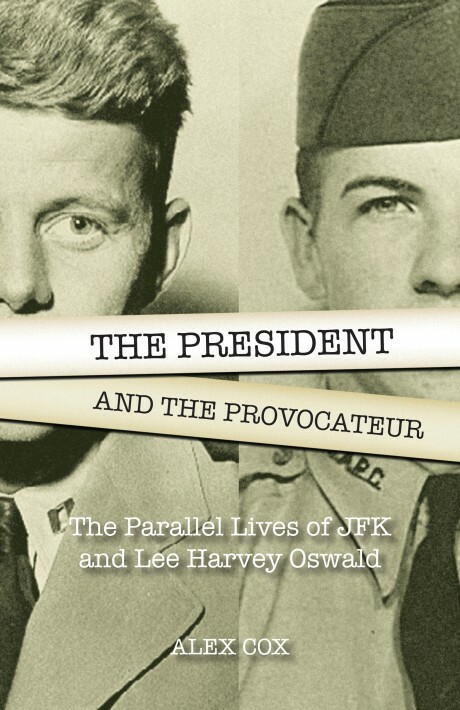 Alex Cox, director of Repo Man, Sid and Nancy, Walker, and more, has come along with The President and The Provocateur: The Parallel Lives of JFK and Lee Harvey Oswald, a fascinating meditation on the cast of characters in this Killing of the King ceremony. The book has just come back from the printer, and it looks beautiful.